HOUSTON & DALLAS & PHILADELPHIA--(BUSINESS WIRE)--Phillips 66 (NYSE: PSX), Energy Transfer Partners, L.P. (NYSE: ETP) and Sunoco Logistics Partners L.P. (NYSE: SXL) announced that they have formed a joint venture to construct the Bayou Bridge pipeline that will deliver crude oil from the Phillips 66 and Sunoco Logistics terminals in Nederland, Texas, to Lake Charles, Louisiana. The joint venture will also launch an expansion open season for service to the market hub in St. James, Louisiana. Phillips 66 holds a 40 percent interest in the joint venture and Energy Transfer and Sunoco Logistics each hold a 30 percent interest. Sunoco Logistics will be the operator of the system. Construction is underway on the Nederland to Lake Charles segment of the pipeline, which will be 30-inch diameter and is expected to begin commercial operations in the first quarter of 2016. The companies will also launch a binding expansion open season to assess additional shipper interest for service with connectivity to existing terminal infrastructure and refineries in and around the St. James area. The results of the expansion open season will be used to determine the size of the pipeline to St. James, which has a forecasted in-service date of the second half of 2017. The binding expansion open season will commence in the third quarter of 2015. Bona fide potential shippers that would like to receive copies of the expansion open season documents, the throughput and deficiency agreement, and proposed tariffs must first sign a confidentiality agreement. More information about the open season will be available on the ETP website at www.energytransfer.com/ops_lc_sj.aspx upon commencement of the open season or by email request to lc_sj@energytransfer.com. 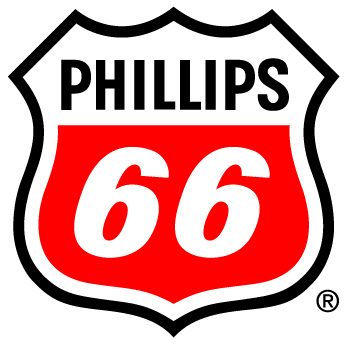 Phillips 66 is a diversified energy manufacturing and logistics company. With a portfolio of Midstream, Chemicals, Refining, and Marketing and Specialties businesses, the company processes, transports, stores and markets fuels and products globally. Phillips 66 Partners, the company's master limited partnership, is an integral asset in the portfolio. Headquartered in Houston, the company has 14,000 employees committed to safety and operating excellence. Phillips 66 had $49 billion in assets as of March 31, 2015. For more information, visit www.phillips66.com or follow us on Twitter @Phillips66Co. Energy Transfer Partners, L.P. (NYSE: ETP) is a master limited partnership owning and operating one of the largest and most diversified portfolios of energy assets in the United States. ETP’s subsidiaries include Panhandle Eastern Pipe Line Company, LP (the successor of Southern Union Company) and Lone Star NGL LLC, which owns and operates natural gas liquids storage, fractionation and transportation assets. In total, ETP currently owns and operates more than 62,000 miles of natural gas and natural gas liquids pipelines. ETP also owns the general partner, 100% of the incentive distribution rights, and approximately 67.1 million common units in Sunoco Logistics Partners L.P. (NYSE: SXL), which operates a geographically diverse portfolio of crude oil and refined products pipelines, terminalling and crude oil acquisition and marketing assets. ETP owns 100% of Sunoco, Inc. and 100% of Susser Holdings Corporation. Additionally, ETP owns the general partner, 100% of the incentive distribution rights and approximately 44% of the limited partner interests in Sunoco LP (formerly Susser Petroleum Partners LP) (NYSE: SUN), a wholesale fuel distributor and convenience store operator. ETP’s general partner is owned by Energy Transfer Equity, L.P. (NYSE: ETE). For more information, visit the Energy Transfer Partners, L.P. website at www.energytransfer.com. Sunoco Logistics Partners L.P. (NYSE: SXL), headquartered in Philadelphia, is a master limited partnership that owns and operates a logistics business consisting of a geographically diverse portfolio of complementary crude oil, refined products, and natural gas liquids pipeline, terminalling and acquisition and marketing assets which are used to facilitate the purchase and sale of crude oil, refined products, and natural gas liquids. SXL’s general partner is a consolidated subsidiary of Energy Transfer Partners, L.P. (NYSE: ETP). For more information, visit the Sunoco Logistics Partners L.P. web site at www.sunocologistics.com. This press release may include certain statements concerning expectations for the future that are forward-looking statements as defined by federal law. Such forward-looking statements are subject to a variety of known and unknown risks, uncertainties, and other factors that are difficult to predict and many of which are beyond management’s control. An extensive list of factors that can affect future results are discussed in the Annual Reports on Form 10-K and other documents filed by Phillips 66, Energy Transfer and Sunoco Logistics from time to time with the Securities and Exchange Commission. Phillips 66, Energy Transfer and Sunoco Logistics undertake no obligation to update or revise any forward-looking statement to reflect new information or events.